A little bit more than 20 years ago, I was in the third grade and I really really liked The Flash. Didn't matter if it was Wally West or Barry Allen, I just thought the costume was cool and the power to run really fast was the best thing ever. 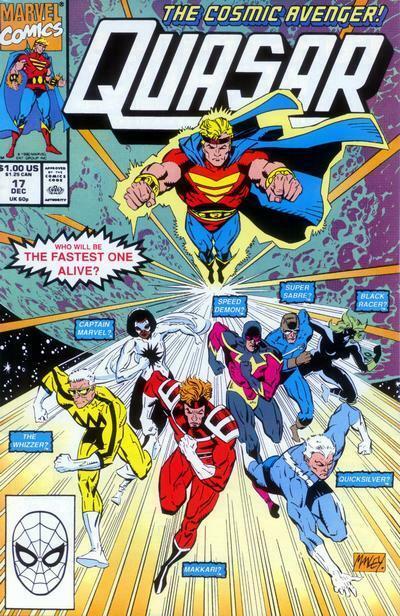 But DC wasn't cool in my school, so I had to ask my brother who the Marvel counterpart of The Flash was. Now either he didn't know who Quicksilver was or the way I phrased the question was "Who is the fastest superhero in the Marvel Universe? ", because his answer was the Silver Surfer, who then turned out to be the first character whose series I ever collected, and kicked off a love for the comics medium and its history that has never died to this day. 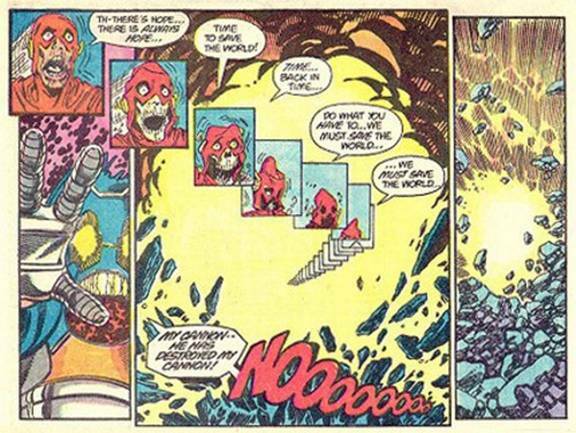 What neither of us knew then was that the Marvel counterpart of The Flash was actually... The Flash! Let's recap, shall we? 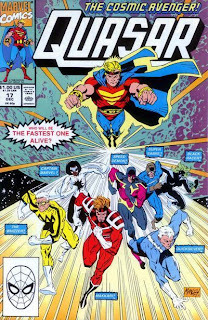 Then in 1990, in QUASAR #17, a story called "Reborn to Run," the Runner, a being who exists purely to run, gathers Earth's speedsters together and makes them race. Black Racer, Quicksilver, and Makkari! And he actually wins the race! But who was he? "Buried Alien." Hm. Sounds familiar, eh? Why do I mention all this now? Because it's my brother's birthday, natch! And without him, I wouldn't be collecting comic books, and thus you wouldn't be reading this right now! So everyone wish him a happy birthday! Thanks to FLASH: THOSE WHO RIDE THE LIGHTNING for the info and images! Wow great post! Got to find myself a copy of this :) Any suggestions on where to look for a copy? I don't think it's EVER been reprinted.